Increasing muscle mass can be a tedious process. Anyone courageous enough to stick to the challenge is well aware of how hard it can be to balance your caloric intake. The amount of planning involved is typically what makes or breaks a person. Muscle building smoothies are one simple method to make the planning that much easier. Meal prep is the tactic we recommend the most if you want to step up your game. In our experience, we’ve found that having a readily available meal on hand can be a crucial element to success. It's much easier to make better choices if you force yourself to make them in advance. It’s also much easier to just grab a container from the fridge than it is to figure out a new meal every time we’re hungry. Smoothies are great way to supplement your meal prepping because you can easily package the ingredients up by serving. After you’re have found a healthy combination of ingredients in can tolerate, bag them all up and toss them in the freezer for long-term storage and easy access. When you're ready, just dump the contents into the blender and Volah! Of the high protein smoothies that I have personally tried, these 5 worked the best for my taste buds. Everyone is different, so you’ll have to find what works for you. 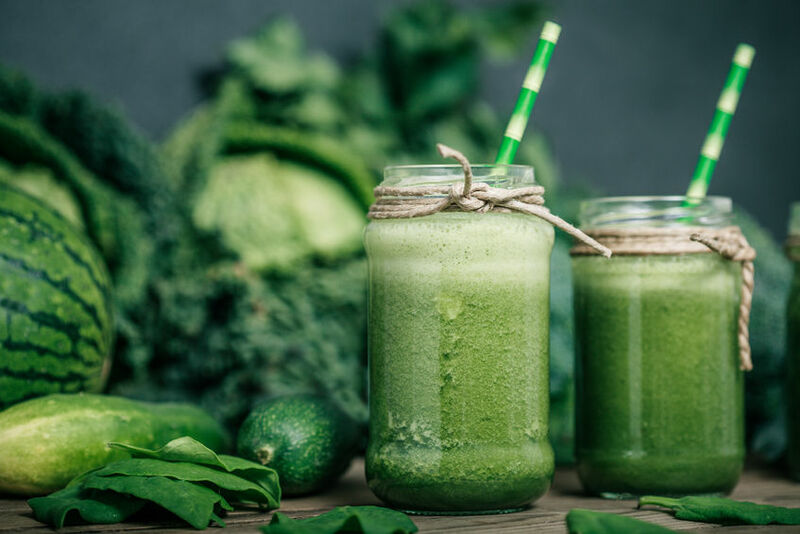 If you're using the best sources of protein, a smoothie will be a healthy addition to your diet and help you consume the amount of protein you're aiming for. These muscle building smoothie recipes are a great place to start. Start the day off right with this muscle building smoothie for breakfast. It’s commonly recommended to get at least 30 grams of protein in the first 30 minutes of the day, so a smoothie of this magnitude is perfect for breakfast. This recipe contains about 40 grams of protein, and that’s without using protein powder! Using frozen produce is a great way to thicken up your smoothies. Bananas and blueberries are one the more delicious combination for almost any muscle building smoothie. Peanut butter and banana is a classic combo that cannot go ignored. Fortunately, there are lots of new and healthy types of nut butter on the market now. My local grocer even has a machine that blends fresh nuts into butter, which is amazing because you know there are no unwanted ingredients. This muscle building smoothie contains roughly 60 grams of protein per serving. Hemp seeds are a great way to boost your smoothies with a high-quality protein and loads of other nutrients. Just be cautious if you start munching on them, as they’re fairly dense with calories. Just two tablespoons of hemp seeds contain over 90 calories! This is my personal favorite of the muscle building smoothies. I love carrots, broccoli, and spinach, so I always have these around the house. They don’t exactly taste that great in a smoothie, so it’s a good idea to throw in a banana and some dates. Peas are also a good addition if you can tolerate the flavor and texture. Personally, I would rather use pea protein powder than canned peas, but fresh peas taste pretty good if they’re available. This is a refreshing drink too cool down with in the summer. Watermelon or honeydew is also great addition if have you already have some sliced up. Don’t steer away from melon seeds or the peeling of the cucumber/apples. The extra fiber is great for digestion and bowel movements. Lets face it, we all enjoy having good bowel movements. Pea protein is a fantastic form protein that is commonly forgotten about. It’s a good idea to mix up your protein sources to get a wide variety of protein types. This will ensure your body has all of the requirements for rebuilding muscle, tissue, fluids, and hormones needed for healthy bodily functions.